Thea Lim’s writing has been published by the Paris Review, the Guardian, Salon, the National Post, LitHub, Electric Literature, the Millions, the Southampton Review and others. Her novella The Same Woman was released by Invisible Publishing in 2007. She holds an MFA from the University of Houston, and she grew up in Singapore and lives in Toronto, where she is a professor of creative writing. 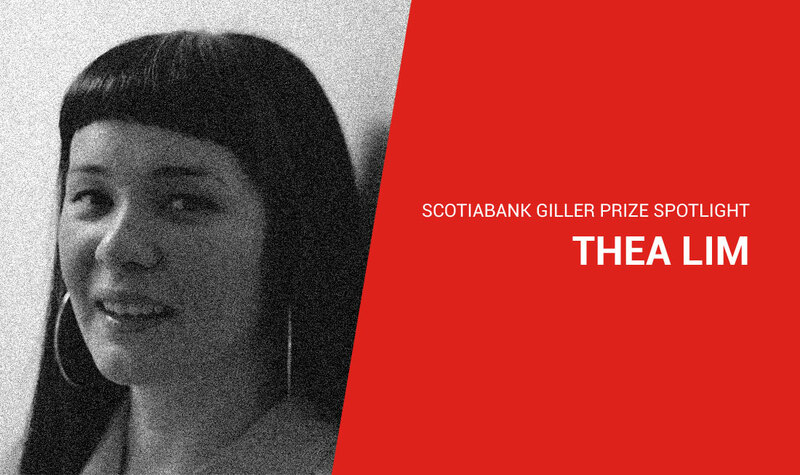 Thea has been selected for the 2018 Scotiabank Giller Prize longlist for her novel, An Ocean of Minutes. Dear Friend, from My Life I Write to You in Your Life by Yiyun Li, and Split Tooth by Tanya Tagaq. No, but when I finished this novel, I accidentally got printer ink on the cat. That should probably be a one-time event. By the time any of us have reached the age of 30 (and often before) we’ve lost something unthinkable − a beloved family member has died, the love of our life has left us, a great friend has flitted away. And yet we keep going to work, brushing our teeth, putting away our socks. And we also keep falling in love, sustaining friendships, having children. How do we manage to keep making and having connections, when we know that the most basic fact of our lives, is that one day everything will end? I wanted to put a character through the paces of heartbreak, to try and make sense of this trick. The book is designed to speak on different levels: you can read it as a love story, as a time travel mystery, as a comment on the miseries of capitalism. I don’t like to rob readers of the chance to have their own interpretation (so stop reading now if you want to have a pure experience!) but I think of the novel as a metaphor for immigration. Canadians have such a vast and spectacular tradition of writing about displacement, that if I wanted to write about it too, I knew I’d have to be inventive; I couldn’t just tell the same story over again. So I used time travel as an analogy for actual migration. While this started out as a desperate gambit − to find a way to tell an old story in my own way − when I made time the focus of the novel, it let me get to the heart of my own experience of displacement: how you lose not just place but time, and how even many years after your arrival, the desire to be more than one person, and in more than one place, never leaves you. It was a weird experiment that turned into an unexpected gift from my unconscious: it let me put down on paper something I’d longed to read about for many years.